This has been an exciting year for food allergy research as scientists work to find answers, better understand food allergies, and incorporate new guidelines into practice. In this review, we’ll discuss some of the most exciting research this year in the areas of food allergy diagnosis, treatment, prevention, and prevalence. Diagnosing food allergies is a significant challenge because there is no one laboratory test that can definitively diagnose food allergy. Inaccurate diagnosis may lead to unnecessary anxiety, over-restriction, and potentially to nutritional deficiency. Moreover, because of the high numbers of false-positive results in blood and skin tests, the oral food challenge is the gold standard, but includes the risk for severe reactions. Researchers are working to find new and better diagnostic tests for diagnosing food allergies with more accuracy and less risk. One such test is the Mass Cell Activation Test (MAT). In this test, a small amount of blood from the potentially allergic individual is used to provoke a response to suspected allergens in a laboratory test. 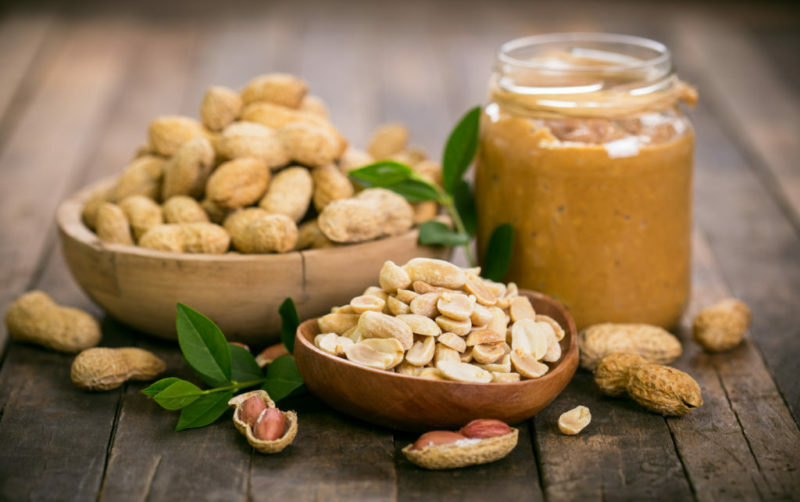 In a recent study of 42 peanut-sensitized subjects published in the Journal of Allergy and Clinical Immunology in August 2018, researchers compared the results of this test with the results of oral food challenges (the gold standard for food allergy diagnosis) and found the test to be better than other diagnostic tools currently available. The limitations of this research are that the peanut-sensitized subjects do not represent the general population with “indeterminate diagnostics” and more research is suggested. The much-anticipated phase 3 Peanut Allergy Oral Immunotherapy Study of AR101 for DEsensitization (PALISADE) study results were released this year further supporting the benefit of oral immunotherapy (OIT) in desensitizing individuals with peanut allergy was summarized and published in the New England Journal of Medicine November 18, 2018. In this study of 551 participants, 496 of whom were peanut allergic children age 4-17 years old, the treatment with powdered peanut butter in progressively increasing doses from 6mg to 300mg peanut protein resulted in a significant increase in tolerance. Seventy-seven percent of participants were able to tolerate 300mg, 67.2% were able to tolerate 600mg, and 50% were able to tolerate 1000mg peanut protein at the end of the trial. There were nine significant adverse events, including one severe case of anaphylaxis, however there were no deaths or life-threatening reactions. Limitations to the trial include the population being specific to those peanut allergic individuals age 4-17. In addition, the study population was limited to those with sensitivity to no more than 100mg peanut protein at the start, but without asthma or chronic gastrointestinal symptoms. Most were also male and white. Long-term outcomes are also unknown, as the study was limited to 6 months of follow up. A summary of the results of this trial can be found in the research summary presentation, presented at the 2018 American Academy of Allergy Asthma & Immunology annual meeting in Orlando, Florida. Epicutaneous immunotherapy (EPIT) (sometimes called “patch”) for peanut allergy has shown itself to be safe and effective in peanut allergic participants, but provides modest effects as compared to oral immunotherapy. In this treatment, participants wear a small skin patch inoculated with peanut protein. Small amounts of peanut protein are absorbed through the skin with increasing doses over time. The next phase of research on EPIT will be among toddlers, as researchers believe younger children will gain even more benefit. Learn more about EPIT here. On the heels of the NIAID Guidelines for Preventing Peanut Allergies, researchers are gathering data on how the new guidelines are being implemented and their effect. One concern regarding introducing peanut foods to infants among professionals and parents has been the potential for serious reactions. In one large study, researchers reviewed the discharge records of 357 cases of food anaphylaxis from an emergency department to characterize the types of reactions observed among infants and children. They reported reactions among infants were primarily hives and vomiting with anaphylaxis due to peanut and tree nut consumption happening at a “lower rate” than among older children. The primary limitation to this study was that the food allergies were not confirmed through testing. According to the National Academies of Sciences, Engineering & Medicine’s 2017 report Finding a Path to Safety in Food Allergy, the true prevalence of food allergy is not known. However, researchers conducted a survey with 38,408 households with children responding and results published in December’s Pediatrics. According to the report, 7.6% of responding parents reported a food allergy in a child in their home. The data showed that peanut allergy could be as high as 2.2%, with milk allergy close behind at 1.9%, followed by shellfish (1.3%) and tree nut (1.2%). Among food allergic infants younger than 1 year, more than ½ were allergic to milk. In fact, milk allergy was the most common allergy among children under 5 years old. Peanut allergy appeared to peak among 6-10 year olds, decreasing to 2.1% among 14-17 year olds in the survey. The limitation of this study is that the participants’ food allergies were not objectively confirmed, but relied completely on parent-report, which can result in inaccurate report of food allergy (and potential over-estimation). With the implementation of early introduction to potentially prevent peanut allergy, the hope is that peanut allergy will be far less prevalent in future generations. Indeed, it was an active year in food allergy research. Yet, we still have much to learn. NPB plays an active role in the efforts to help support food allergy research, education and outreach.